Happy Thursday my beautiful blog readers! Can you believe the first month of the year has flown by so fast?!? 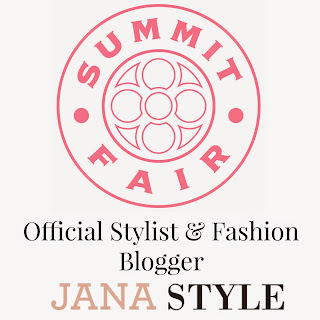 New spring merchandise is arriving in all the stores at Summit Fair and seeing all the new styles this week is making me sooo ready to flip my winter clothes with my spring clothes. This winter has been extremely cold and it's made me so much more anxious for spring fashion! 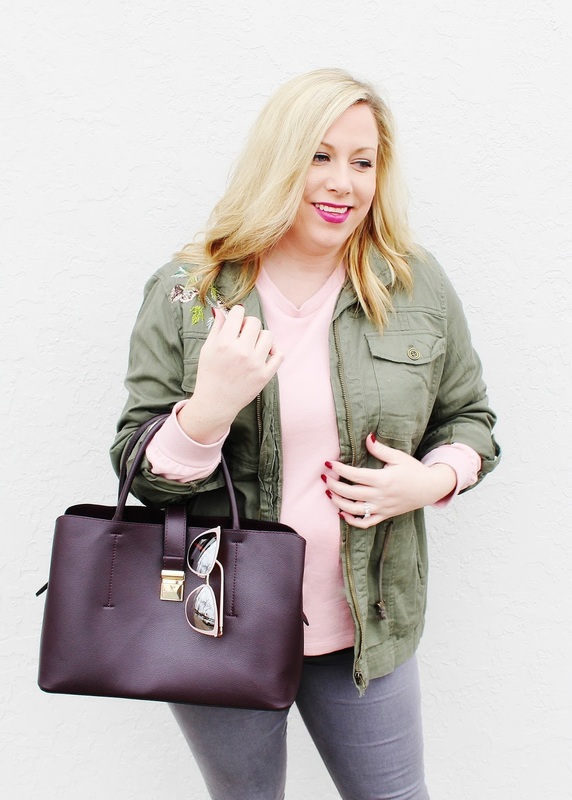 One of my favorite pieces for spring is an olive green utility jacket. 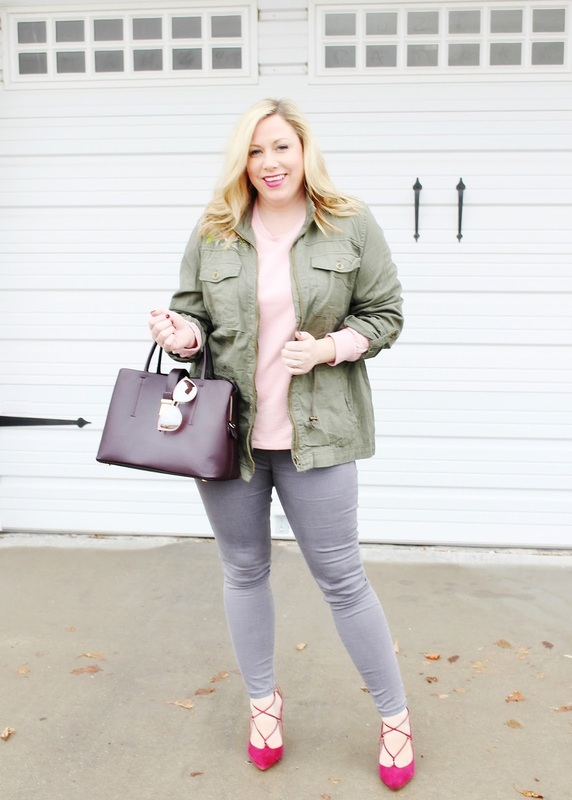 It's become a spring staple in my wardrobe and it's usually one of the first things I pull out to start styling. You can't go wrong with this very versatile piece because it goes perfectly with denim, colored jeans, or spring dresses. 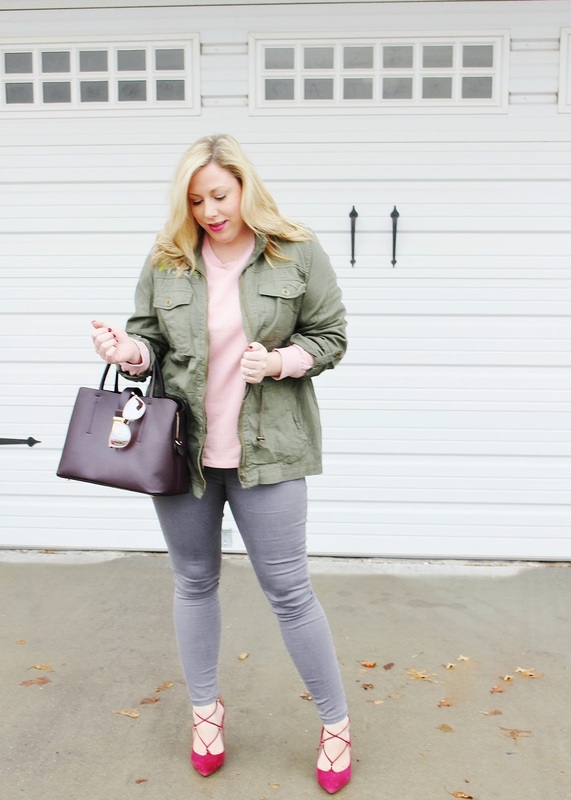 It's one of those pieces that just about pairs with everything in my wardrobe! 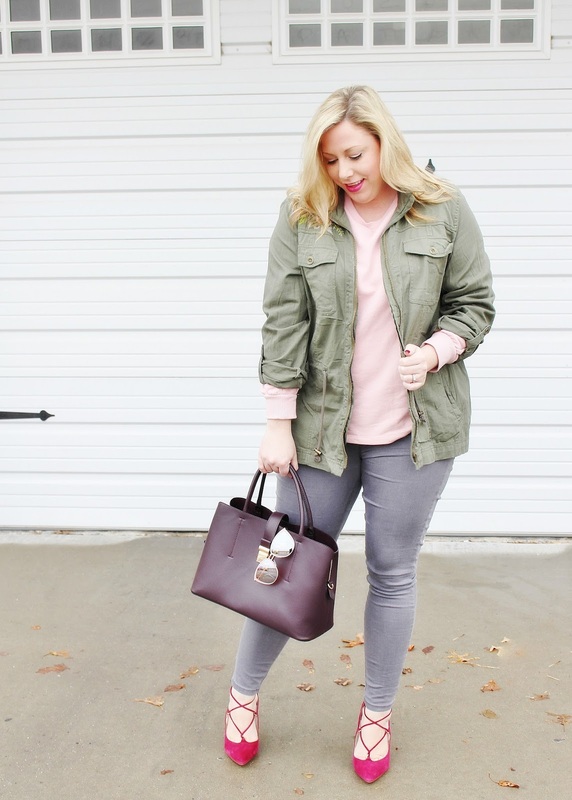 Today's outfit is a mix of several of my favorite pieces; comfortable sateen jeans, a casual and super soft sweatshirt, paired with the "go-to" olive green utility jacket. It's a super easy look but I love the combination! I did decide to put on a pair of heels but I could easily switch them out for a pair of slides or a stylish sneaker too! What are some of your favorite spring pieces? 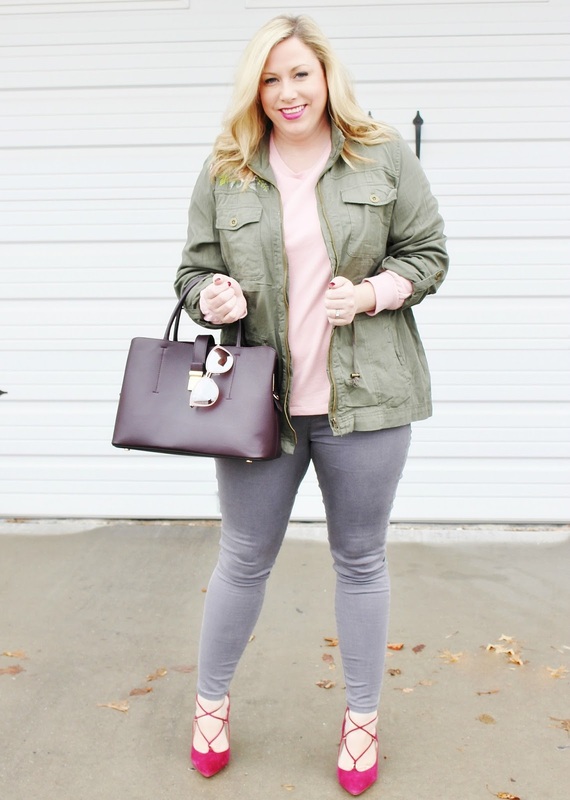 Do you have a olive green utility jacket in your wardrobe? I love that jacket, I need to grab an olive green jacket soon! 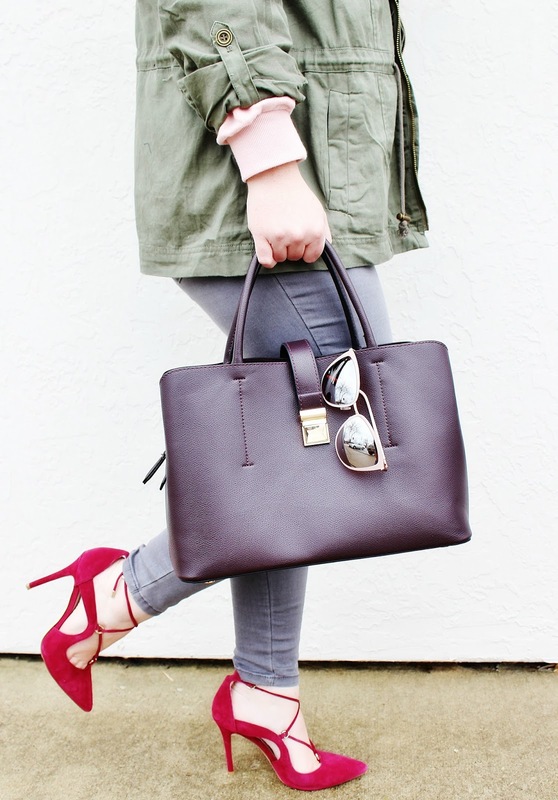 I love those heels, a perfect Spring shoe.